3 Bedroom Family Friendly Villa with own Private Pool. 5 mins from Mullins. Spacious Villa in Bakers Wood, St Peter. "Minutes" from Holetown,Speightstown, Mullins & Royal Westmoreland. Built in 2007, Whitewood Drive is a modern three bedroom villa, finished to very high standards and with large open plan ground floor leading onto its own private patio and swimming pool. 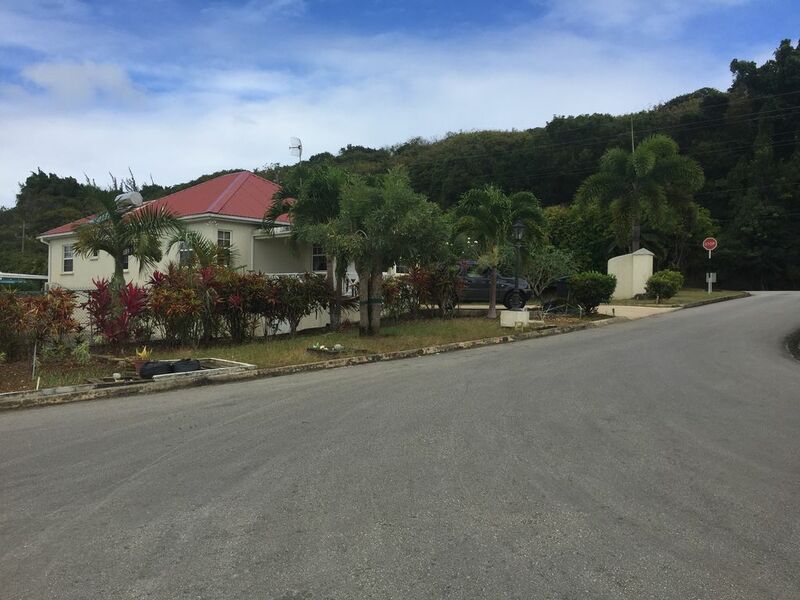 The Villa is sited within the highly regarded Bakers Wood community, located on the beautiful West Coast of Barbados. Its an easy space to live in..
All Three Bedrooms (1 en suite), bathroom, kitchen, utility & living spaces are on one level. The only steps lead down to the secluded pool and patio area. Very private and very safe for kids. There is no need to constantly go out for a good day. There are some great days to be had staying at your Bajan home and sitting round the pool. The Villa benefits from excellent Wi-Fi, with a strong signal from the front porch to the back deck and pool. Priority 1 these days - Excellent Wi Fi from front to back of the property. 3 good sized bedrooms- 1 ensuite & all with Air conditioning. A good nights sleep is "mega", so no skimping here. Beds by Feather & Black. Master: King Size double bed with three double wardrobes leading to ensuite shower/loo. Air con with remote control. Middle Bedroom: 2 single beds. 2 double wardrobes. Air con with remote. Useful is....220volt sockets in the kitchen, master bedroom, garage & porch. These are in addition to Bajan 110v sockets. We use them for powering & fast charging laptops, phones and tablets. 3 Seater + 2 Seater sofa = dining table for 6/8. There's also an I-pod/ I-phone Dock if you fancy some tunes. The property has a fully equipped kitchen with granite work surfaces. Gas Double Cooker & Oven, loads of pots pans and cutlery (Can't you tell a bloke's writing this!) Food mixer,.. a coffee thing? There's also gas "Barby" in the garage. Our Utility Area next to the kitchen is blessed with an American style twin tub,top loading washer & dryer. Pool + Pool Deck & loungers: Your own pool. Not shared. Not communal, like so many in Barbados turn out to be. Our pool is yours and yours alone to enjoy with your family. The deck area is treated with a product called "cool deck" and it works really quite well. It means that the deck stays cool even in the "mad dogs" heat of a Bajan afternoon. You, nor the kids, will burn their feet. Its quite possible to spend some glorious days simply sitting chatting/reading around the pool at home. That said, if you want to get out, your villa is only a five minute drive from Mullins Beach or, for golfers, the world class facilities at Royal Westmoreland. If you fancy something really special, pop down the highway and turn left up the hill to the gorgeous new Apes Hill course, right above us, on the top of the island. You don't have to be a golfer to appreciate the views and the million dollar villas for sale on the top of the world! But if you are a golfer, the legendary Sandy Lane course is also only 10 minutes away... max. For the "active" there are golf clubs and even a Kayak stored in the Villa. If you want to use em, just ask and we'll make sure they're available. The whole Bakers Wood development has been designed and built to a very high standard and is tastefully and fully landscaped. There is a grassed children's play area and a community park just 200 yards down the road. All residents, including us, contribute to the upkeep of the area. It's well worth a gentle stroll around the development one night. You cant fail to feel a real sense of community. The people of Bakers are very friendly. There's 4 of us. 2 cousins and our wives. We're all hardworking bods, born and bred in the Midlands. I'm a motorcycle dealer. My cousin Steve owns a garden centre. Our wives support and tolerate us in all we do!! !..God bless em. This is our bolt hole in the sun. For sure we've put money into it. We built it from scratch. But there's also a lot of love, sweat and beers gone in along the way. The community, your neighbours, are wonderful. We couldn't have built it without them, we couldn't maintain it without them and we wouldn't want to be anywhere else on the island. Spend a couple of weeks here and you'll see why. In Barbados, the only thing that shines brighter than the sun and the sand, is the people. You'll love it. It was just wasteland when we first saw it. But it was a plot of wasteland with a sea view .And that's how it all started. We had to buy it - Here's why .. Its 2005. There's only 3 days left of the best holiday we've ever had and we fancy looking at a few properties. We've had a look at a house on the brand new development at Bakers Wood. Nice pad but not the layout we'd like. But LOVE the development. There's houses dotted around in various stages of completion. There's building going on everywhere. There's a right buzz about the place. And everybody's getting involved: Families & builders. There's a few finished properties and they look great. Next to one of them is a biggish plot of land with a little flag in it. Its a plot & its available. I got out the jeep and stumbled over to were the back garden (our pool) would be and looked left. I could see the Caribbean Sea. (Tick) Then a voice from somewhere in the garden next door. "Where you from?" I looked around. "England" I said.... to nobody in particular. "I know that. Where from in England?" "The Midlands", I said. "I know that. Where in the Midlands?" he said. "I'm from Walsall, my cousins from Solihull... and I wasn't being nosey I was just looking at the plot and..." "I lived in Solihull for 40 years. Retired over here". And so it started. All of us stood on the plot chatting, then into his place for a nose and a chat & beers. Then the most amazing thing happened. Sue, my cousins wife, recognised somebody in a photograph. "Is that Thelma ***?" she said. "Yes" he said. "That's my wife". "Are you Ozzie ...? ", she said. "Yes", he said. "Do you know my wife?" "Know her. I worked with your wife for 20 years." Unbelievable Well that was it. Beers were opened. We were in for the day. Our last 2 days were spent sorting the legals. In '06 building started. In '07 we shipped the pool from Miami. The house & pool was finally completed (just), in November 2007. 2 years!! But so, so worth it. Hope you agree. Master bedroom with en-suite. Bedrooms 2 and 3 with adjoining bathroom having a Bath/shower. 3 double wardrobes. Fitted in all bedrooms with remote control units. Best way to use it? Pop it on in the bedroom for 15 minutes before you go to bed. When you go to bed, switch it off and leave just the ceiling fan on. All bed sheets, pillows and cases provided. No need to bring your own. American Twin Tub Top loader. Mega solid and reliable. We have a tumble dryer. Dead easy to use... even for me. The Villa has its own garage. We have excellent Wi-Fi and the signal is strong from the front porch to the Pool Deck at the back. LAN connection on the kitchen counter. Service provided by Flow - Cable & Wireless. Quality tiled floor throughout with 3 seater and 2 seater sofa's with side tables and lamps. Easily accommodates 6 people comfortably. HD TV with DVD and cable TV subscription from MCTV. Big American style Fridge with the most wondrous invention in the world - An Ice Maker. 4 slice Toaster that browns Bagels as well. We don't, by default, provide a basic provisions kit. However, we're happy to organise one if requested. I-pod dock on the Kitchen unit. Yes with DVD's. DVD player will play both Zone 1 & 2 versions. There's a collection that we add to every time we go over. They are in the cupboard in the Master Bedroom. We have a sea going sport Kayak/ Paddle and buoyancy aid in the basement. It's there to be used but, please, only if you know how to use it correctly. You can also hire Kayaks from most beaches. There is a pool and deck area to the rear of the property and is solely for the use of the occupants of our Villa. It's not shared. The pool is cleaned and serviced every week on a Thursday. Notes on accommodation: Children are most welcome. There is a brand new travel cot & brand new high chair available at the property. However, it should be noted for insurance purposes that children under the age of 12 should not be left on there own by the swimming pool. The property has its own driveway which is subtly lit at night, and can easily accommodate several cars. The Villa sits on a private residential estate. It is of fairly recent construction (2007) and, we feel, built to a very high standard. The Villa is equipped with both 220v and 110v electric sockets in kitchen and master bedroom. The higher voltage sockets are particularly useful for fast charging ipods, Ipads, etc. Outside: The pool is area is private and very safe for kids. The deck area is has a special "cool deck" treatment which means you, and your kids don't burn your feet . The pool area has its own outside shower as well as an 8 seater table & chairs and 6 sun beds. You don't need to leave the house to have a good day. The pool is cleaned once a week on Thursdays. There is a gas barbecue for use of the guests. The Villa is blessed by being sited amongst a wonderful people in a serviced community. There is a communal green, garden and children's play area which is well maintained by the whole community. Utility Room: Washing machine, tumble dryer, iron/ironing board & rotary line on the deck. The kitchen area also has ipod and iphone music docking system. Cleaning / Towels / Linen / Maid service: All bed linen and bathroom towels are provided but guests are asked to bring their own BEACH towels. Property is cleaned once a week when all linen/towels will be washed and changed. More frequent cleaning can be arranged. Other: There is also a spare blow-up double mattress for extra guests. There is also a safe for personal belongings. Children's high chair and cot available. The property is fully alarmed. We enjoyed a wonderful two week holiday staying in this villa in Bakers Wood. The 3 bedroom home had everything you could require for a relaxing stay. The property was clean and well maintained, with an outdoor private pool that is regularly cleaned. You can find soun or shade by the pool, with ample sunloungers. The property has flowering shrubs and trees in its garden which attracted humming birds and butterflies and we even saw some cheeky green monkeys on a couple of occasions. There is a nice seating area next to the porch where you can watch the amazing stars at night. I found the air conditioning and fan in the bedrooms to be very useful and appreciated. The kitchen has everything you need if you wish to cook, and there is a comfy lounge when you want to come in from the sunshine. The island itself was wonderful, and can be easily driven across, there are so many beautiful places to visit, and the local people are friendly and welcoming. I would not hesitate to recommend this property and Barbados to any visitors. I especially enjoyed the Mount Gay Rum Factory tour and a beach called Bathsheba, fabulous. We also saw some beautiful sunsets. If you appreciate the pleasure of great food, Sandy Lane's culinary school is the place to indulge your passion. With hands-on learning, as well as cooking demonstrations, with expert chefs will share the secrets of great cuisine. With its dedicated area, you can create bespoke programmes for guests to enjoy. Founded in 1965, The Dive Shop Ltd. was the first full-service dive operation in Barbados, and has since been a leader and pioneer in SCUBA diving and marine conservation in Barbados for over 45 years! They offer dive excursions for any level of diver, from first time explorers to seasoned dive professionals. The villa is a four minute drive from Mullins Beach. Generally the seas on the West coast are the calmest, but good, safe, quiet swimming is available in the many tranquil bays along the South West and the South that touch the Caribbean Sea. If you like calm waters with a soft sandy bottom, then the West Coast is probably the best of these conditions, but seasonal variations can cause things to change. Travel time from the airport is about 30-40 mins depending on traffic. It is located on highway 2 above Mullins Beach. Barbados is the most easterly of the Caribbean islands. The island is 34km (21 miles) long N–S and 23km (14 miles) wide E–W, with an area of 430sq.km (166 sq miles) and a total coastline of 97 km (60 miles). It's friendly, fun and safe. 5 minutes away there is a small shopping centre on the main road, with a supermarket, internet kiosk, bank and other services (doctors etc). Opposite is the police station, post office and a small museum. There’s access to the beach between the police station and the Sunswept Hotel. There is a restaurant there that is called Surf Side, which is has wonderful breakfasts, lunch and dinner. On a Sunday night they have a steel band and its well worth getting there early for a seat and meal. Holetown is only a short distance from Bakers Wood, (about 2 miles away). Most things you need will be found in Holetown, supermarkets, banks, shops, restaurants and bars. There is a very comprehensive guide manual at the property which contains i.e. contact addresses, local doctors, dentists (should you need one). Together with out and about in Barbados which will point you in the right direction to Beaches to visit, bars, restaurants, golf, tennis and points of local interest. Things to do whilst in Barbados. Together with maps on getting around this beautiful island. Every party to rent the property will of course receive a copy of the manual before departure. Together with a contract. Had. Wonderful stay, thank you. The house was great to lounge about in, tv, video everything you need. Also in a very convenient location. Very easy to find our way back when we got lost. Hope to be able to visit it again in the future. Much love!! Many thanks Debs for introducing us to Barbados! Home had a ho Ely Nd we,coming energy. We. Entered in every direction from your conveniently located villa. ....the kids loved the pool - what a sun trap for our lily white skin to turn red. Thank you so much for letting us have use of your lovely home. We had an amazing time! Would recommend to friends & family. Your neighbour was a fantastic! Did the best catamaran trip on silver moon, fan static trip, rum and food. Hd a tray stay a real home from home. Your neighbour was on hand if we needed anything or to know places on the island. Looking very much forward to visit it again next year. Had a lovely stay we all loved Barbados and your home was very comfortable Nd had everything we needed. Thank you for a lovely villa, we have had a amazing holiday. We have hD great fun in the pool. We have enjoyed exploring the island and swimming with the turtles. Had a great three weeks. Lovely weather - nicely relaxing by the pool. All mod cons, wi FI etc GEART. RECOMMENDATIONS - bus it to Speighstown and then onto Bathsheba cost 4$bs each fantastic experience not to be missed. Beach at Accra near Rockley sit near bar at the end of beach and avoid Saturday and Sunday's. Thank you for sharing your beautiful home with us. Spent many days chilling by the pool. (Paynes Bay) is a great spot on the beach also. Neighbour next door really made the holiday. Did the Jimmin Cruise cost (50-60£) but what a good day - everyone must try. Perfect villa and perfect weather. Booking Notes: Upon booking we require 20% deposit. Remainder to be paid 90 days or 12 weeks before arrival. Changeover Day: We will be as flexible as we can here. Departure and arrival handover times will depend on availability. Notes on prices: Prices are for the property per week in UK pounds. One great value price throughout the year. On booking we require 20% deposit. Full payment within 12 weeks of arrival at the property. The 20% booking fee due on confirmation of the booking. The balance will need to be paid 12 weeks before arrival. Extra day rate of £110 per day.